The 8th Circuit held yesterday that Panera Bread breached contractual obligations owed to its general managers when the company unilaterally placed a cap on their bonuses. The case is unusually interesting in that it deals with a number of contract issues, including unilateral versus bilateral contracts, what constitutes consideration supporting contracts with at-will employees, commercial frustration, novations, and more. The case is Boswell v. Panera Bread Company. Several years ago Panera Bread created a bonus program to recruit and retain general managers of its restaurants. Under the program, qualifying employees were to receive a relatively large one-time bonus. Years after the program was instituted, Panera Bread asked its employees to sign an employment agreement that incorporated a compensation plan providing that the one-time bonuses would be paid about five years after the employees executed the agreements. The agreements expressly did not alter the at-will nature of employment. In 2010 Panera Bread decided to cap the bonus amount at $100,000. The company informed its managers of the cap in 2011, advising that the change to the bonus program would be effective in January 2012. The company received no complaints about the changes until 2014, shortly before the first managers were to receive bonuses under the plan. Two of the managers sued for breach of contract on their own behalf and on behalf of a class of similarly-situated employees. The plaintiffs contended that Panera Bread violated their written employment agreements by imposing the cap. 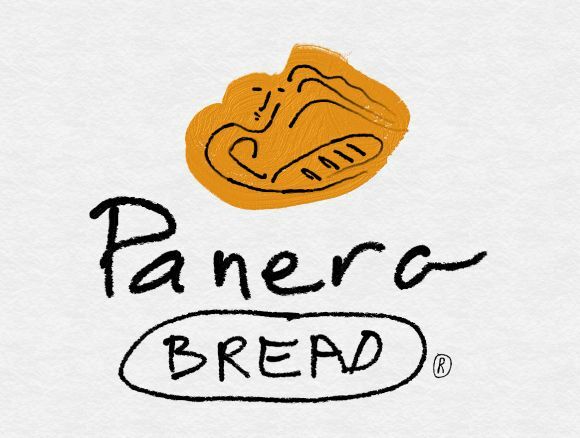 Panera Bread responded that the parties had orally novated the written agreements and that the managers had assented to the new agreements containing the cap by their words and actions. The company also asserted that the employees had waived any claims about the cap by continuing to work after the change and that they should be estopped from raising claims because it was too late to do so. Panera Bread also argued that the economic downturn allowed the company to impose the cap because the purpose of the contract had been commercially frustrated. The district court certified a class of about sixty-seven managers and eventually granted them summary judgment. In doing so, the court rejected the managers’ characterization of the agreement as a bilateral contract: The court decided instead that Panera had extended an offer to enter into a unilateral contract and that the offer had become irrevocable because all class members had rendered a substantial part of the requested performance by working at least a year after signing their agreements. The court noted that, even if the agreement amounted to a bilateral contract, Panera’s novation defense failed: it held that any supposed novation was not supported by consideration since Panera did not promise to do anything that it was not already obligated to do. The court also rejected Panera’s waiver and estoppel defenses because Panera’s imposition of the cap was a repudiation of its bonus offer, and the managers were free to continue performing rather than treat the repudiation as an immediate breach. It also rejected Panera’s commercial-frustration defense, holding that the economic downturn was a foreseeable event that Panera should have anticipated when making the bonus offer. The 8th Circuit agreed with the district court that the employment agreements signed by the plaintiffs amounted to offers to enter into unilateral contracts rather than bilateral contracts. As I noted in Have You Thought About Consideration? all contracts must be supported by consideration. Thus, in order to be enforceable contracts, the written employment agreements were required to be supported by consideration. I’ll explain below why the written employment agreements weren’t supported by consideration. But because the written agreements weren’t supported by consideration and thus weren’t enforceable contracts, they amounted to offers by Panera Bread to enter into unilateral contracts. An offer for a unilateral contract is accepted by the offeree’s performance. For example, if I offer you $50 to shovel the snow off my driveway, and you shovel the driveway, you’ve accepted my offer for a unilateral contract and I now must perform my obligation by paying you. Once you’ve accepted by performance, it’s too late for me to rescind my offer. The plaintiffs argued that the written employment agreements contained promises that constituted consideration, including agreements regarding confidentiality obligations, forum-selection and choice-of-law clauses, and consequential damages waivers. However, the 8th Circuit held that the plaintiffs’ position was not consistent with a 2014 Missouri Supreme Court case, Baker v. Bristol Care, Inc.. In Baker, the Missouri high court held that “[n]either Baker’s continued at-will employment nor the incidents of that employment provide consideration.” Baker doesn’t explain what “incidents” of employment are, but in that case a promotion, a confidentiality obligation, continued employment, and attendant benefits did not constitute consideration, and the 8th Circuit held that any promises contained in the Panera Bread managers’ written employment agreements likewise fell short. Novation is the substitution of a new contract for an existing one. The 8th Circuit held that, because there was no consideration for a new bilateral contract, Panera’s novation argument, fell short. Commercial frustration is a defense to a breach of contract action that is available “if the happening of an event not foreseen by the parties and not caused by or under the control of a party destroys or nearly destroys either the value of the performance or the object or purpose of the contract.” If the event is foreseeable, the parties are expected to provide for it in the contract rather than to rely on a court to fashion a remedy after the fact. Panera Bread imposed the cap because the downturn of the economy made the bonuses too expensive. But a decline in general business conditions is foreseeable, so the 8th Circuit rejected Panera Bread’s commercial frustration defense. In my law practice, I often encounter clients who are faced with decisions regarding changing the terms of employment of their at-will employees. Often they want to impose confidentiality or noncompetition obligations on their employees. Although this case is interesting to me partly because of the contract law issues it covers, the most important takeaway for me is to be sure that any new contractual obligation an employer attempts to impose on its current at-will employees is supported by consideration. Continued employment–even if accompanied by a raise–is not sufficient consideration to support new contractual obligations.